This year A ROCHA became part of the Erasmus+ project “Enhanced ENTREpreneurial attitude in adult education for a better LABour market integration” (2018-1-SE01-KA204-039048). In order to reduce unemployment, entrepreneurial education is considered a key factor for competitiveness and employment, social inclusion and personal development. In order to adapt to this need, a new type of attitude, initiative and responsibility are required. The valorisation of entrepreneurial attitude will improve traditional education, preparing people for life and offering the opportunities to adult people to find their place in the labour market, either by more easily finding a job as a result of having an entrepreneurial attitude and mindset or by starting and running their own business. The project aims to incubate and promote the entrepreneurial spirit through the development of a model ecosystem, which will stimulate creativity and entrepreneurship. The main aim of the project is to empower trainers to create ecosystems of entrepreneurial learning for adult education, by assuming the role of the drivers of such ecosystems. developing entrepreneurial skills among people by raising awareness towards entrepreneurial culture. The project members come from Sweden, The Netherlands, Italy, Greece and Portugal. 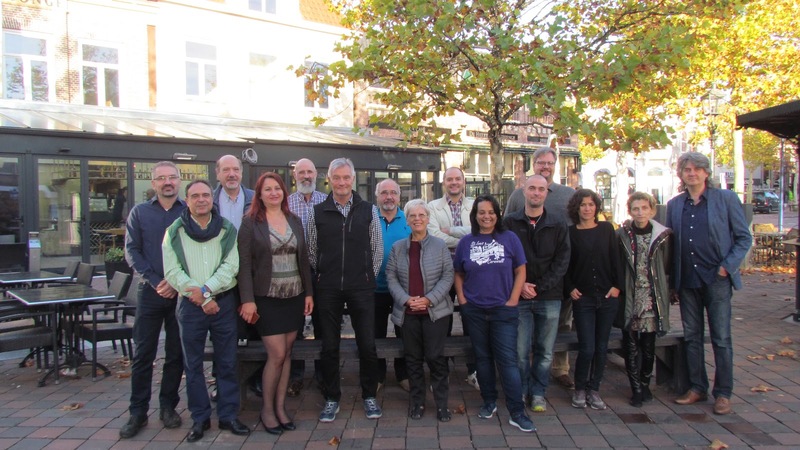 The Kick-off meeting of the project ENTRELAB was organised in Assen, the Netherlands, on 17th and 18th of October 2018, and was attended by the representatives of all partners involved in the project consortium. The Kick-off meeting was an opportunity for the ENTRELAB partners to discuss issues related to the project management, as well as to the evaluation, dissemination and communication processes. Moreover, the representatives of the partners in the ENTRELAB consortium defined the strategy development plan for the production of the intellectual outputs planned to be realized during the project life: online platform with different interactive functionalities; entrepreneurial guide; training kit “Entrepreneurial learning in adult education”; Ebook ENTRELAB “Enhanced ENTREpreneurial attitude in adult education for a better LABour market integration”. The next transnational meetings will be organised in Sweden, Portugal, Italy and Greece during the two years of project life. The project outcomes and activities will be designed with a focus on the needs of the primary target group of the project that consists of trainers and teachers selected by each organisation partner in the project.